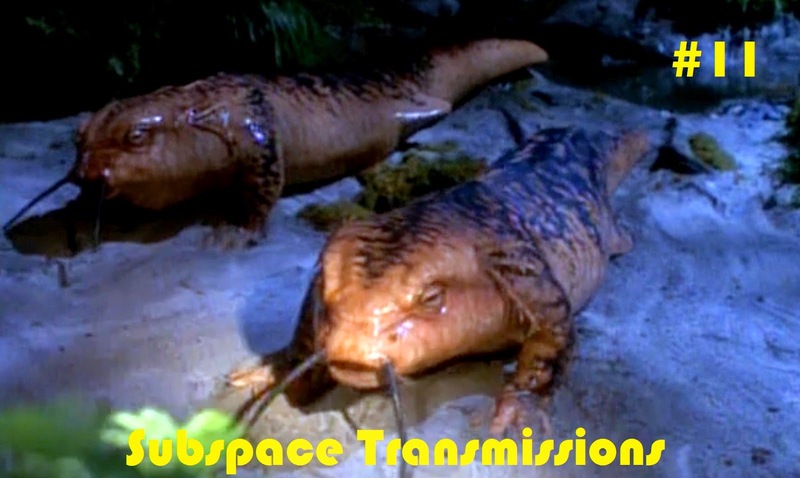 Cam's Cinematic Episodes: SUBSPACE TRANSMISSIONS Gets Weird! You wanna get nuts?! Let's get nuts! Join Cam Smith, Benjamin Yong and Tyler Orton in this brand new madcap, daffy installment in which they attempt to comprehend some of the craziest WTF creative decisions in the history of Star Trek. Wanna hear about puppet-wielding man-babies, or sinister circus clowns played by members of Spinal Tap? We gotcha covered! And, just to add to the fun, the trio analyze the bizarre love life of everyone's favorite Klingon security chief, as well as finally deal seriously with the ramifications of Ferengi cross-dressing. Pull up your space-bootstraps, cuz you're in for one mighty kooky ride! Click here to boldly go to the Subspace Transmissions blog.